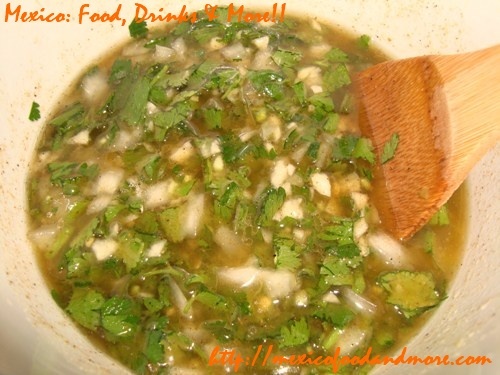 Combine the orange juice, lime juice, olive oil, onion, garlic, serrano peppers, parsley, cilantro, cumin, black pepper and salt in a medium bowl. 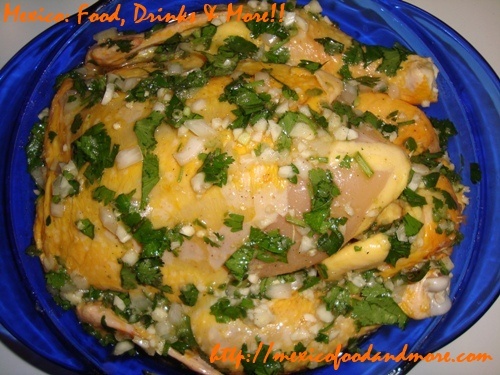 Coat the chicken inside and out with the marinade, cover and refrigerate overnight. If using a slow-cooker, coat the inside with olive oil. 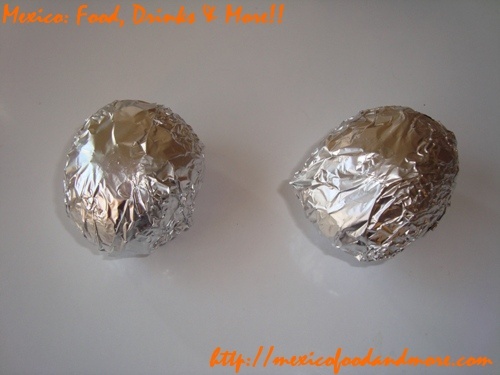 Cut some aluminum foil into small squares and coat with a little olive oil. Prick the baby potatoes with a fork and season with salt. 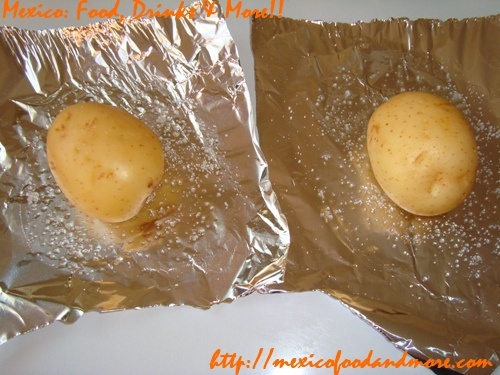 Wrap the potatoes tightly with the foil. Place the potatoes in the slow-cooker. Place the chicken, breast side down, on top of the potatoes. This will allow the juices to flow to the bottom of the slow-cooker while the chicken is roasting. 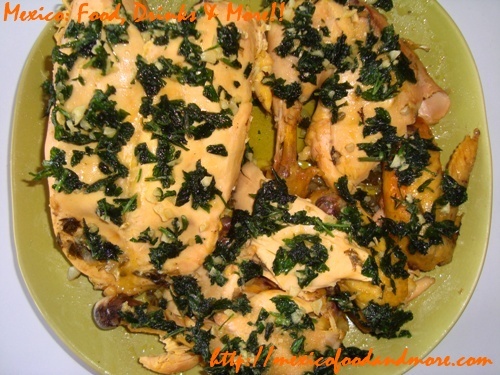 The chicken will be so tender that it will fall apart easily, so carefully transfer it to a plate. Allow to cool a little before removing the skin. 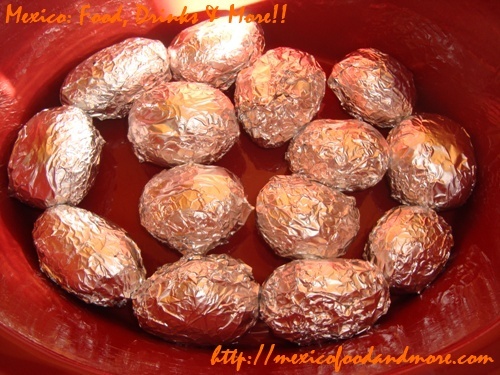 Remove the potatoes from the slow-cooker and let them cool before removing the foil. 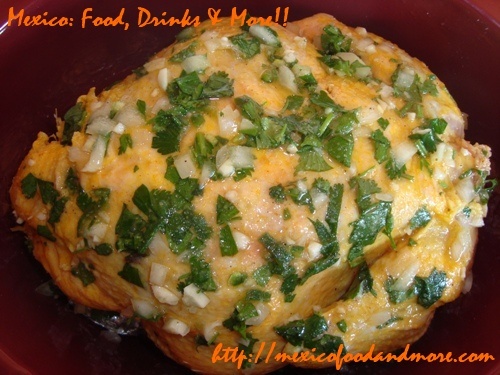 Meanwhile, prepare the mojo de ajo garnish by melting the butter in a small saucepan. 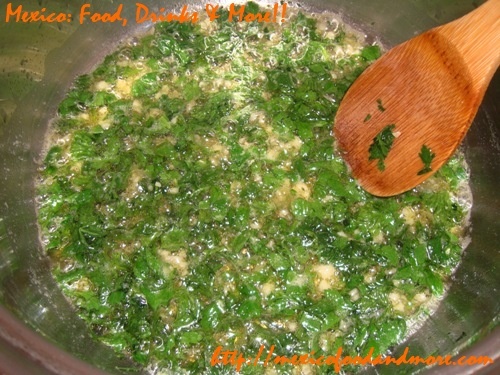 Sauté the garlic, parsley, and cilantro until softened. Season with salt to taste. 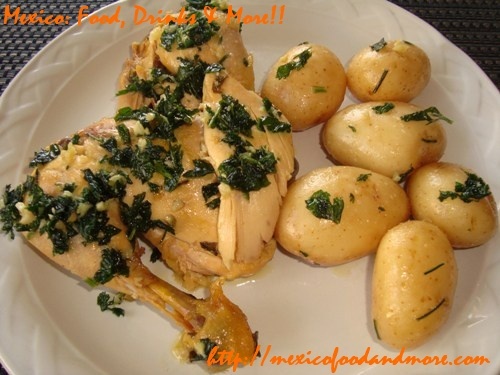 Serve the garlic chicken with the baby potatoes and warm corn tortillas. 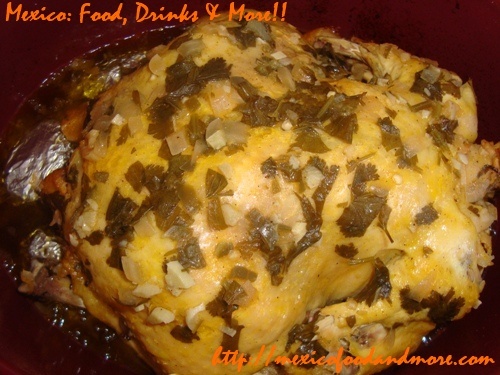 This entry is filed under Chicken, Dinner, Meat Recipes. You can follow any responses to this entry through the RSS 2.0 feed. You can leave a response, or trackback from your own site.